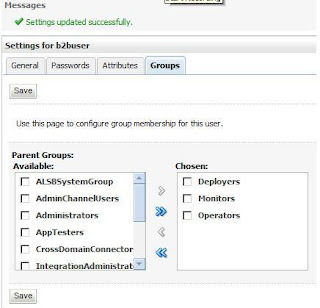 By default all weblogic users who are assigned to group “Administrators” can login to b2b 11g console but if you want to enable a non-admin user to login to b2b console, you need to do some additional configuration. 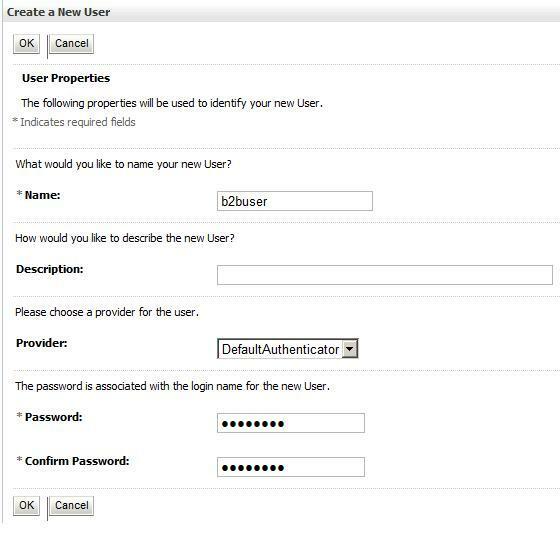 If everything works fine then you would be able to login to weblogic admin console with the new user id you created. 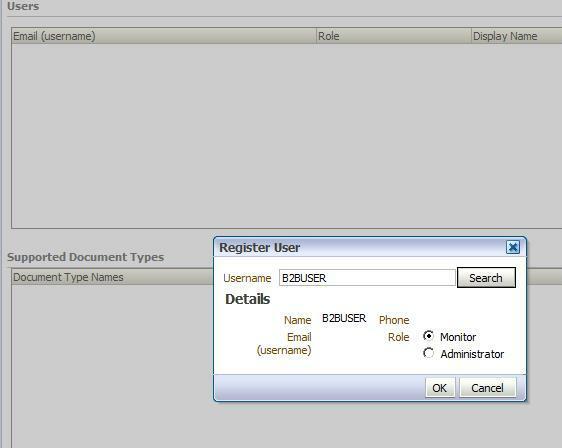 Now let’s see that how we can enable this user to login to b2b console. 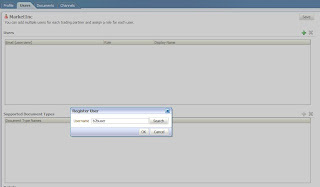 If you want then you may select and add the document for this user as well so that this user has limited access only. 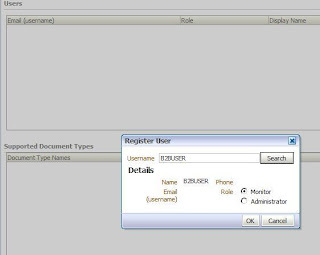 Now you can login to b2b console with this newly created user id and it will show you the pages according to the user’s role. After adding the user in the b2b console, and deleting him, and adding the same user to the b2b console and when I try to the delete the user I cannot delete the user. a) Is there a way to extend the b2b user functionality to an existing AD user or do you have to absolutely create a local user first? b) Can you create B2B user and give him/her access to more than one trading partner? I guess it's for internal b2b analyst who takes care of more than one partner. a) Yes, you can extend the b2b user functionality to an existing AD user. 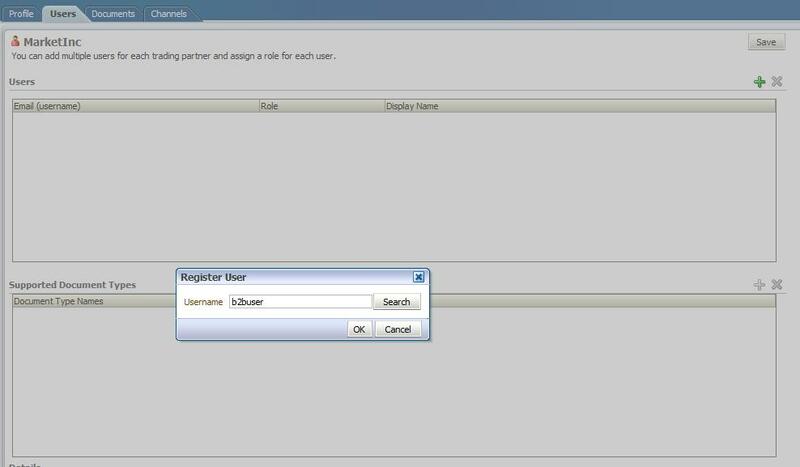 Make sure that AD user is available as a Weblogic user. You may Google for getting steps to configure AD with Weblogic. 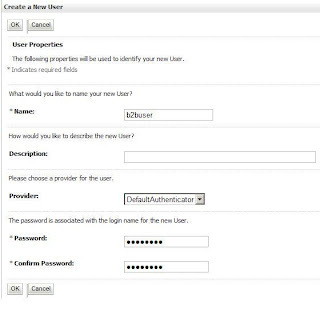 b) Yes, B2B users created under host TP users tab with B2B Admin role, have access to all the trading partner profiles. We have a common problem Mr Anonymous. I am hoping that this will be alright soon. Thanks for the detailed information. Is it possible for the user with "Monitor" role to view the trading partner setup. 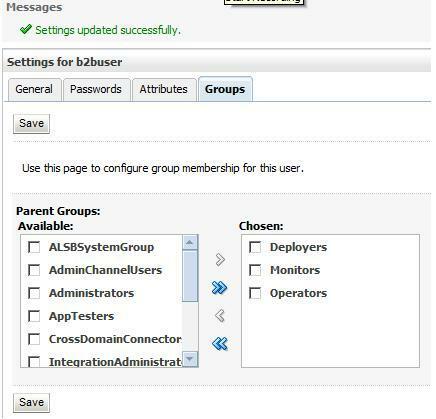 Is there a way we can provide access to the users with read-only access to the b2b administration page just for viewing the configurations and not changing it? I have configured my AD with Weblogic, Users are also able to login to SOA EM or Console using their Admin Console. But i cannot see/ search the AD users in B2B Console. Also neither of the users are able to perform and activity related to SOA Composites in EM. 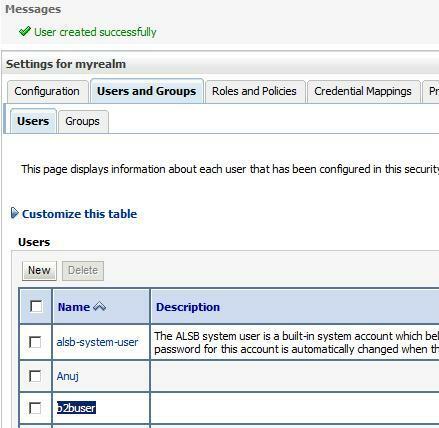 My Weblogic Admin user (weblogic) cannot access the B2B Console. Server throwing the following errors/exceptions.